Overall, everything was fine. My only concern is noted above in the cons area. I don't know yet if this will impact the ability to use the item because I wont have it hooked up for a couple of months. PROS: Speedy delivery. Exactly what I ordered. CONS: The short cable from the 3.5mm jack was sharply bent on both items. I believe this occurred because of the way the items were packed. Excellent choice for connecting laptop to the overhead projector mounted on the ceiling. Of course a cable was required to be fished from wall mounting to the ceiling. 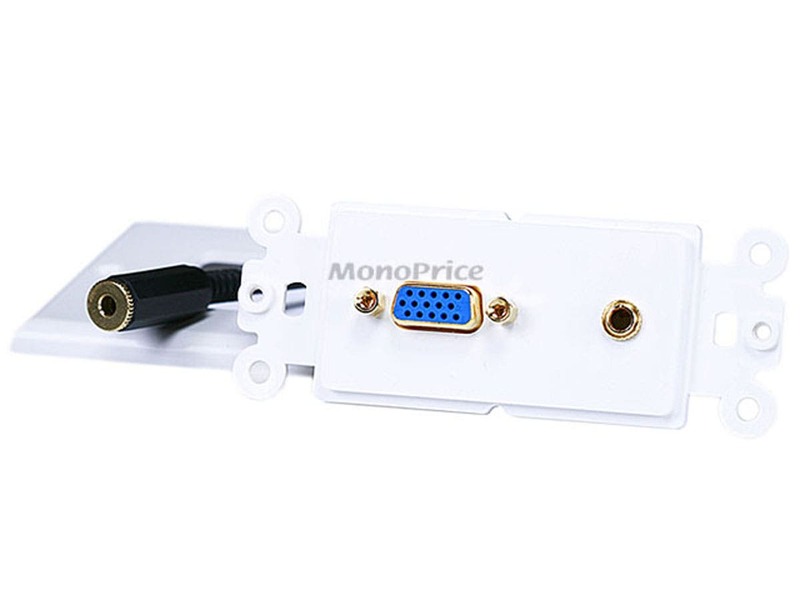 The VGA side works but the audio jack could not be used. PROS: Item seemed like a good idea. However, the audio jack introduces a lot of noise. CONS: Audio jack could not be used. Too noisey. A perfect, inexpensive, problem solver. I use a bunch of these and have only had one failure with the audio connection. PROS: Price. Decora form factor. CONS: The audio passthru connection - should be a true passthru with one connector, not a wire between two connectors. Doesn't come in any color other than white. 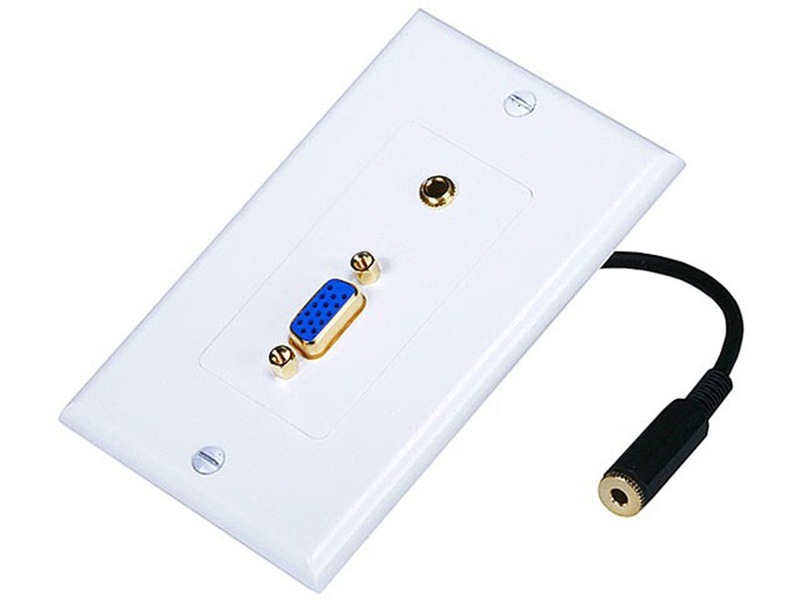 Works great for connecting your laptop or PC to a projector and audio system. I came, I saw, I ordered, and I received it quickly. PROS: Very fast delivery even to Alaska! This product is well priced and made for a very professional installation. Delivery is always great when I deal w/ Monoprice. We got 4 plates, all of them don't work properly. 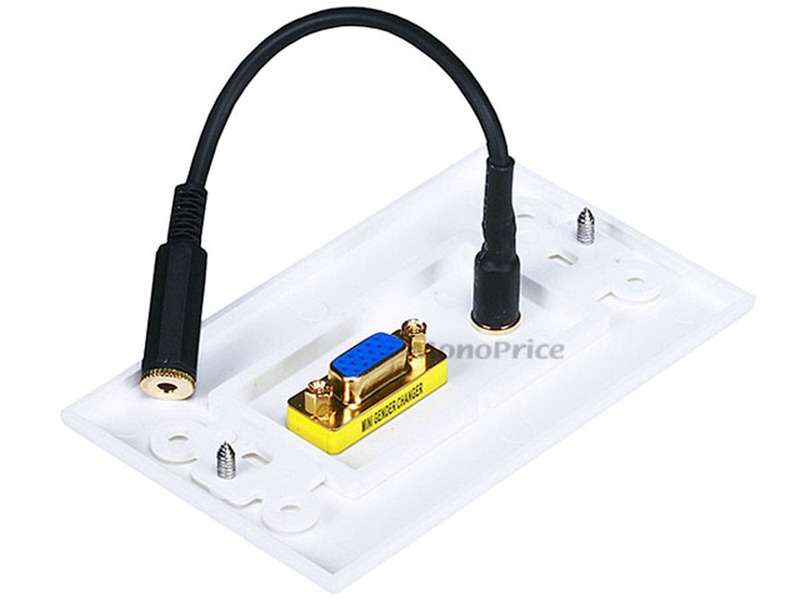 The audio jack is so loose that we loose signal just because of the air movements. There is no good signal at all. I am in the electronic business so I was able to disassemble the jack and look at under the microscope. I was shocked by the material used for it. The conductors on the solder side and inside the barrel are all covered in RUST. I had to file the rust off and bend conductors but how long will it last? CONS: Quality, Material used, Loose connection, Rust. Plastic decora backing flexes too much when VGA cable is plugged in. All the parts need to be disassembled and reassembled with a thread locker compound otherwise they all come undone over a short period of time. Price is more than great. I'd pay twice as much for a metal version. PROS: Audio Pig tail is great. For the price, it's great and the customer seemed to be pleased. 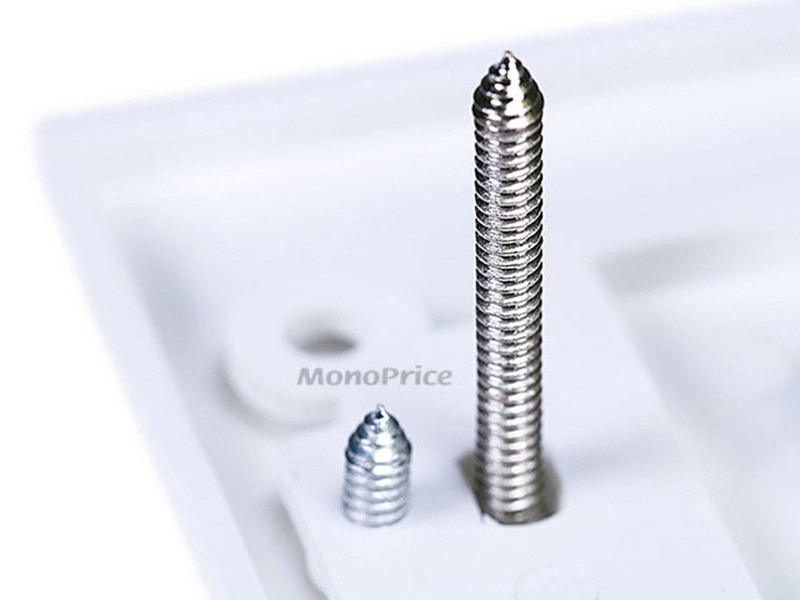 PROS: The wall plate provides an esthetic appearance for the price and it does work fine. CONS: The contacts on the 3.5mm audio jack on the back of the wall plate are a bit flimsy so care must be taken when plugging in your cable. I used tape to keep the plug to the jack secure.